Please select options for SHR Illuminated Push Button Start Ignition Kit - Blue (05-09 All) at the top of this page. Push to Start. 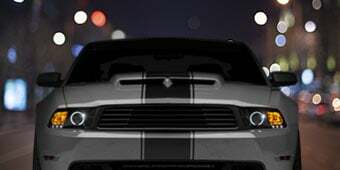 Give your Mustang a Push Button Start Ignition like those seen in Exotic Super Cars with a Silver Horse Racing Blue Illuminated Push Button Start Ignition Kit. A Push Start Ignition is possibly the coolest functional modification you can make to your pony's interior. Operation Options. 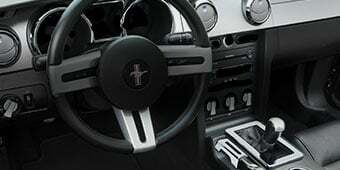 The Silverhorse Racing Engine Start Button can be installed to allow your Mustang to start from the button alone, or from either the key or button. Wiring options allow for constant illumination whenever the key is in the ignition, or to function in conjunction with the emergency brake, turning the light off once the car is started and the parking brake has been released. Straight Forward Install. The SHR Push Button Ignition kit easily installs in the existing power outlet located in the center of your dash with the included wire harness, so there is no drilling into your dash. Assembled In The USA. This SilverHorse Racing product is proudly assembled right here in the USA from the highest quality domestic and imported components available. Application. 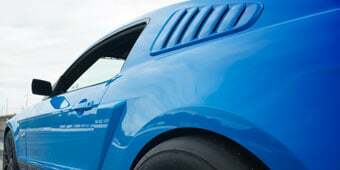 The Silverhorse Racing Blue Illuminated Engine Start Button is designed to fit all 2005 to 2009 Ford Mustangs, including the V6, GT, Bullitt and Shelby models. 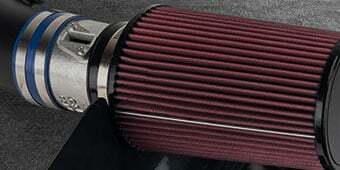 Would this kit work on a 99-04 V-6 or GT? I like the idea that this button illuminates. The push button start kit for the 99-04 mustangs do not light up like this one. Hello! The SHR Illuminated Push Button Start Ignition Kit is designed for only the 05-09 Mustangs. So does the light on it go away when I'm driving ? So after installing this can I still be able to use only the key or do I have to and use a key along with a push button ? Do you still have to put the Key in the Ignition and turn Key to on position before pressing the Start Button ? Yes you will need to turn key to on position, but do not start. With transmission in neutral and clutch depressed, or in park and foot on brake, press start button. Engine should start. 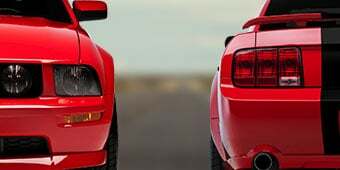 Yes, in order to start your Mustang you will have to put the key in the ingnition and turn the key to the on position before pressing the start button. It is possible the Mustangs have different wire coloring than these instructions, or even an official Ford wiring diagram would show. Unfortunately we don't exactly know as to why the colors are different, our guess is while your Mustang was being manufactured in the factory, the factory ran out of the designated colored wiring and they just used whatever color wiring was available until a new batch of wires came in. However, whatever that reason may be, it's possible contacting a dealership with your VIN would allow them to lend you exactly what colors represent what. It's not a guarantee but's it's definitely worth a shot. 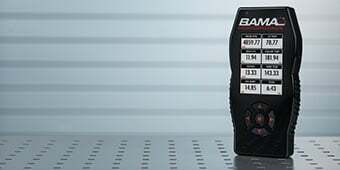 Otherwise, if you have a volt meter, or take it to a shop where than can do some tests with a volt meter, you'd be able to get those wires manually identified. The clutch would not need to be engaged for the light to turn on. However you will need to have the clutch engaged to start the car with the push button start still. Hello! The SHR Illuminated Push Button Start Ignition Kit can be used in a daily driven Mustang. Yes, turn in the car to the on position. Then push the button to start the car. Yes you can mount it where you want as long as there is enough space behind it for the wires coming out. Like you said you will just have to run longer wires. Love this little add on. Great for a interior upgrade. COOL factor is off the chart! Okay guys! The KEY to this install is READ THE DIRECTIONS FIRST! Familiarize yourself with the instructions several times before attempting this. With three options for the lighted start button, I chose the parking brake. Way too bright to leave on all the time. Also, I really think there is no other choice but to NOT cut the green ignition wire. Don't lose the backup way to start the car. All the panels can and should be removed prior to running the wires and find the wiring harness under the steering column where you will run and attach the two wires going to the starter module. With all three wires, be very careful to notice where the wires will be and not in the way of moving parts. The zip ties were too small so I used electrical tape instead. The baby zip ties are of no use at all. PLEASE be very careful with all covers, because they are thin and fragile and will break. They are also very expensive to replace. Really, the hardest part of the install is removing the power adapter to put the start button in its place. The wiring shroud has to be removed in order to put the starter assembly through the hole in the radio faceplate. Be very careful with the button itself, because when turning the plastic retainer nut on the back, the chrome piece will unscrew and come apart. (Trust me on this one!) Then just slide it back in. Go ahead and leave the wire going to the parking brake out to run separately. Wire colors are straightforward and easy. When re-installing the panels be careful with the fuel shutoff and the fragile pins on the instrument shroud. You might need more two-sided tape for the door sill panel. Just follow the directions. It's a SNAP! ;>) When you are finished, you will be so proud of yourself! This is a great new add to my ‘05! As other reviews state, the blue light is a lot brighter than I had expected at nighttime. But still worth the add. Its great, Easy to install. Just use the quick splice connector. Takes about an hour. Great look for my 06 mustang brings out the interior! Thumbs up. I would have given this push button start five stars, but mine wouldn't light up so I had to order another one to replace it. Pretty easy to install and looks great when you're done! This is a great product that adds a coolness factor to your cars interior. Install is pretty straight forward, the only issue I had was identifying the ignition wiring on the left of the column (there are two plugs watch the video). Really cool product, works great. The only thing I have to say is the instructions could be a bit confusing when it comes to the names of the parts if you haven't heard of them before, other than that it was an easy and quick install. 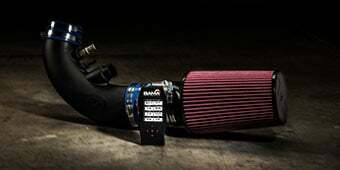 This is a very good looking and functional mod for your mustang. The only issue I had was that once the unit was installed as directed the light did not illuminate. All wiring correct, apparently the bulb was bad from the manufacturer. AM said if I sent the part back they would replace it but they could not get just the bulb from the manufacturer. I decided to just keep it and can get by without the light. I would recommend this to anyone and am pleased with every aspect of it from the look, fit, and functionality. This kit is awesome. The feel of the button when you push it makes you want to turn the car off and push it again and again. The quality of this kit is impressive. I had a stereo store do the install for me and it took them an hour. I also had them do the trunk release button at the same time. Great options to my KR that should have been standard equipment. Easy install. Fit was perfect. Wired mine to shut light off with E-brake. Also installed hidden switch in-line. Took about 2 hours. 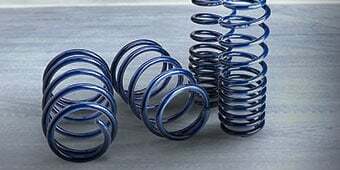 The installation was not the easiest and the instructions told you what to do but not how to do it but other than that the product is really a great addition to my stang. Everyone who gets into my car want to push it to turn it on now! SHR Push Button Start Ign.Kit INSTRUCTIONS! I have a 2009 GT. The instructions stated PIN1 was white w/yellow tracer and PIN7 was solid green. MY harness had only 6 PINS ... 6, Solid Green and 1,Light YELLOW. after trying to get info and not wanting to burn up my system, I TRYED 1and 6. WORKED GREAT! Hope this is helpful to someone. Amazing product works great adds such an exotic look to your interior. Super easy install. Decided to go with the red instead. Blue looks good but the red botton looks more muscle. I love this start button. It could be improved by offered the option of having it start the car without the key in the ignition. It was hard to install at call. Great addition to my Stang! I have purchased many items for my 06 GT from American Muscle and I have yet to be disappointed. 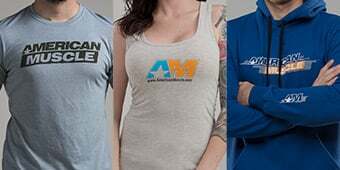 The products are on time and promised and I have had no issues period. 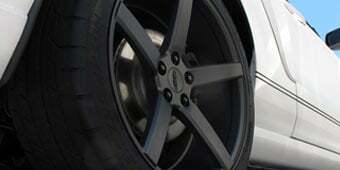 Will continue to use them for my Mustang GT buying needs and I work at a Ford dealership!